Beading the day away !!! 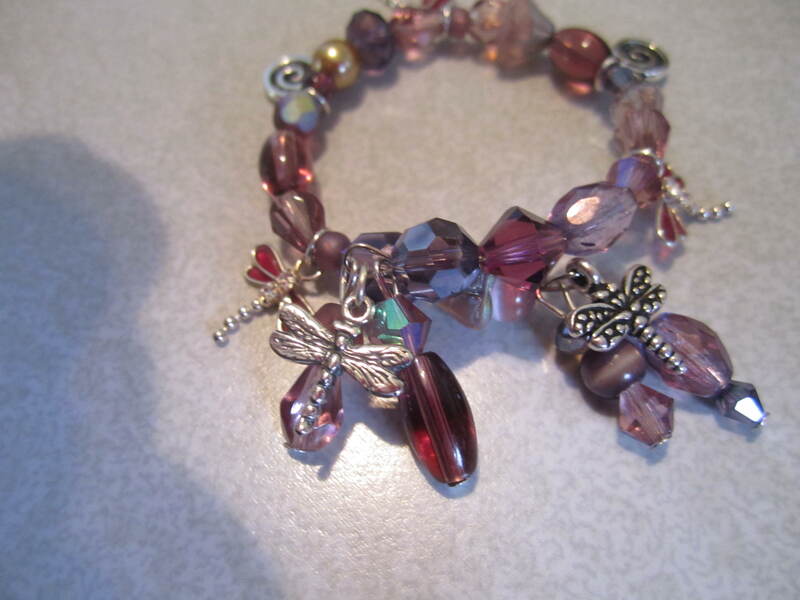 My wonderful and creative customer and I have been beading away our days. She has been giving me the best designs and then I get to play a bit as I make what she invisioned !! It is a great partnership and I am having a blast and I think she is as well !! We have been so busy I have not had a chance to share, but the pretties we have been making need to be shared, they are just too pretty !! 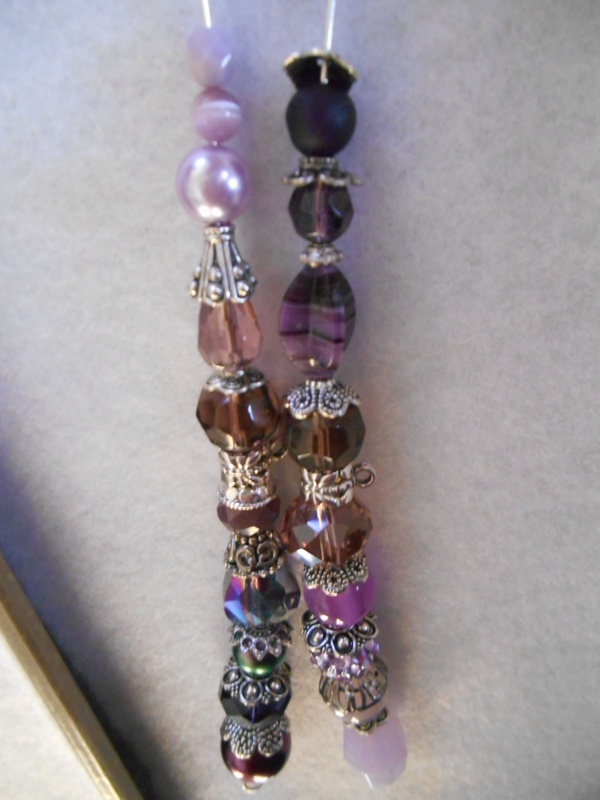 Here are the closet door tassels she designed for her room, so pretty !! 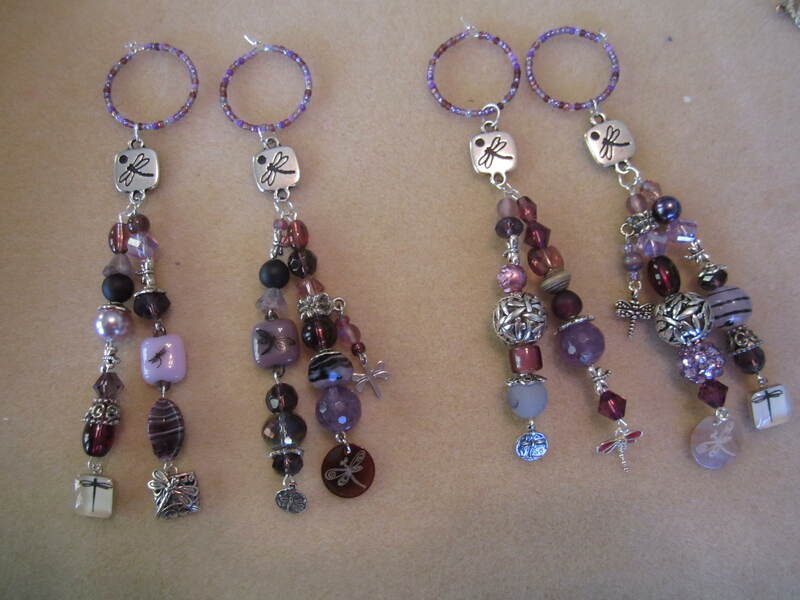 You better believe when we are done with all her pretties, I will be making some beaded accents for my house too !! I know I shared them already, but they are just so pretty I have to share them again !! some jewelry for a basket and a couple of childhood stuffed animals on her bed, we were having so much fun blinging our her room, they needed some too !! I love it, I have a few stuffed animals I keep around for fun, I plan on making them some pretty collars and stuff too !! What fun !! Now for all the new goodies, we have been having so much fun !! the light set will be almost done tomorrow, i will have them all assembled and just be missing two charms for the bottom which are on order at this time !! 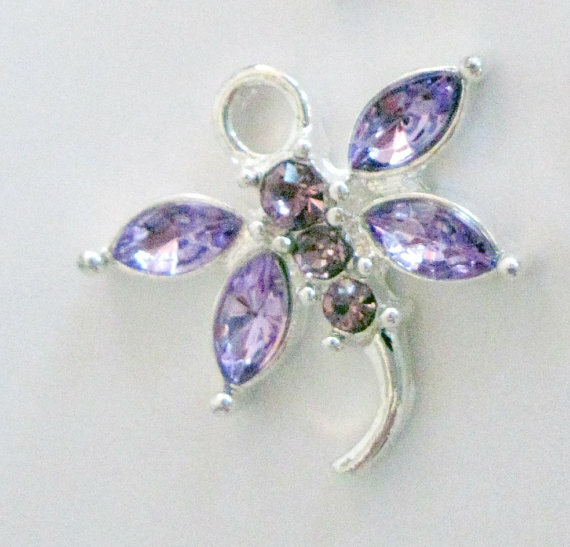 she picked this awesome charm for two of the dangles, once for each set , wow, so pretty, cannot wait until they get here !! 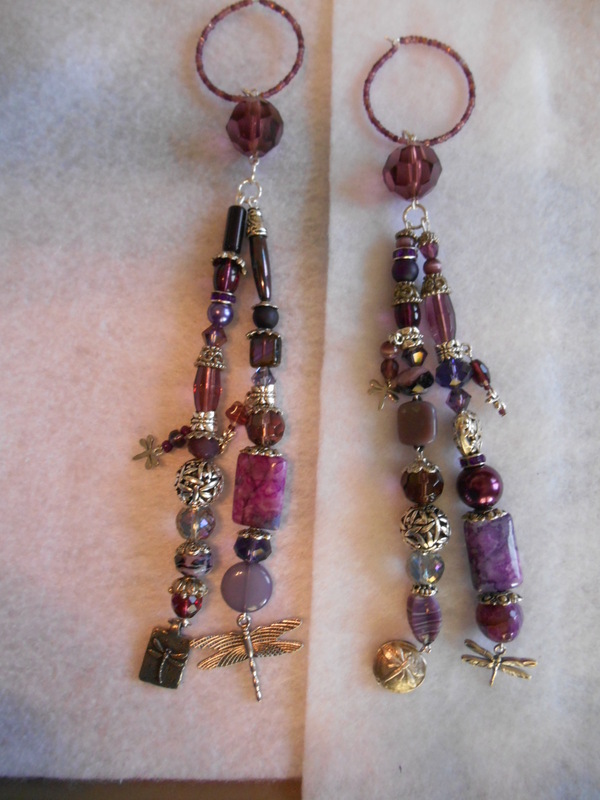 this is what the two beaded rings and connectors look l ike two dangles per, two sets. One to frame each side of the window. So pretty !! 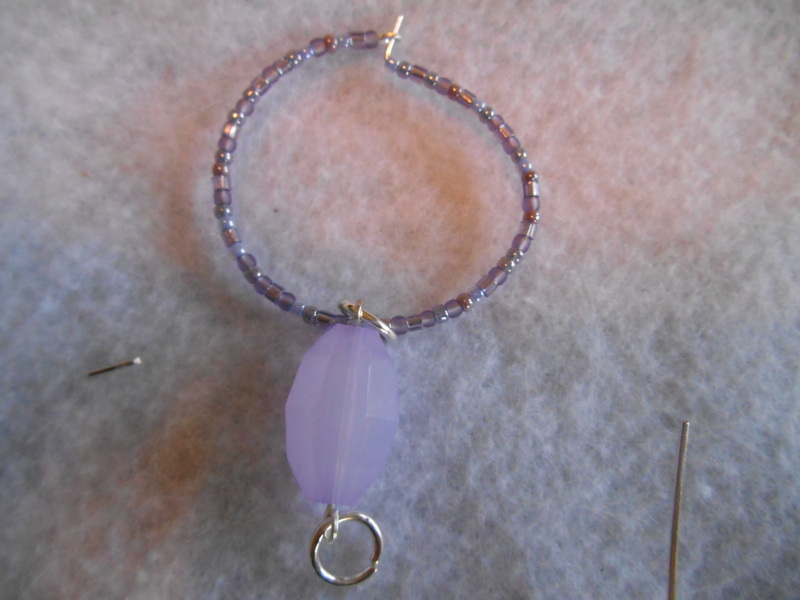 next set is ombre style, one dangle each direction, so a set for each side of a window. We had to do a few alterations, so I will share the finished set later, but I have time tonight and wanted to share what we had been up to !! 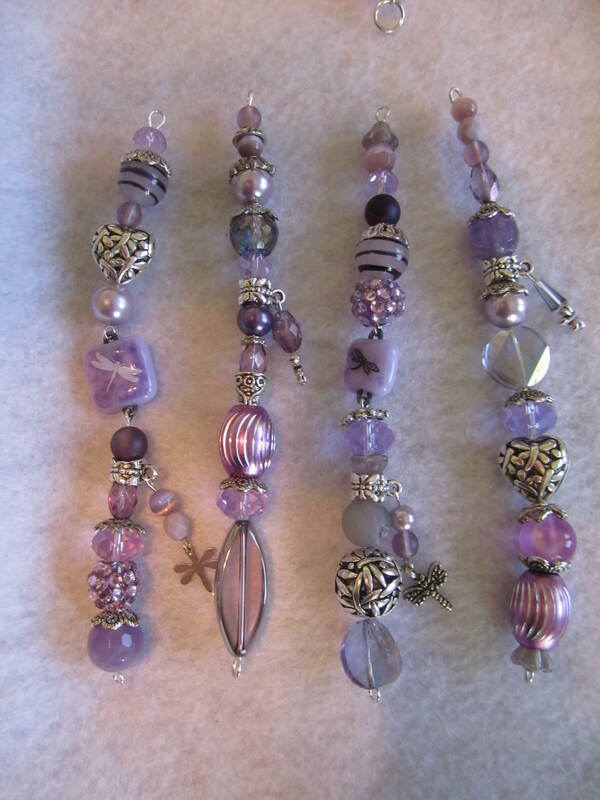 Here are all our purple beads, we still have another window to do after the other ombre set and then four other sets for her room bigger sets, that she is still designing. 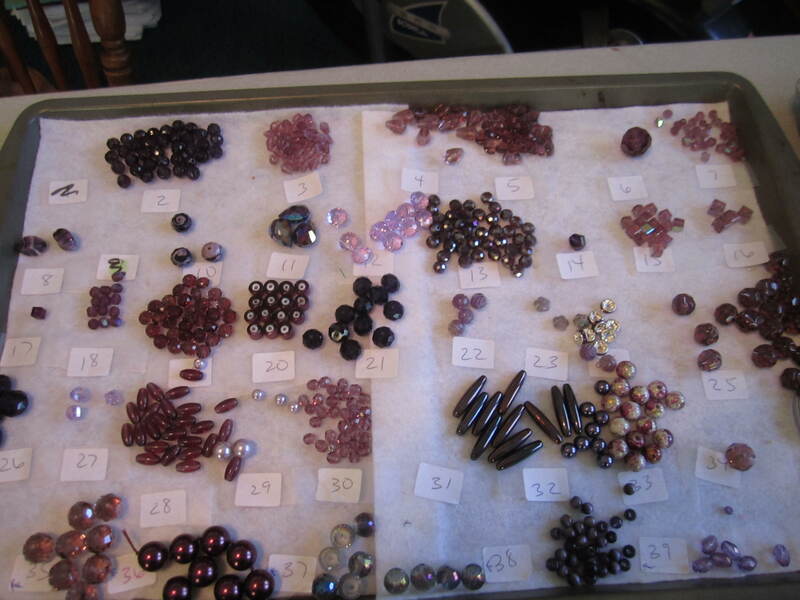 Here are all our purple beads, she was getting worried we were getting low, but I reassured her we should be fine and I have ordered a few from Ebay and friday is BEAD MARKET !! 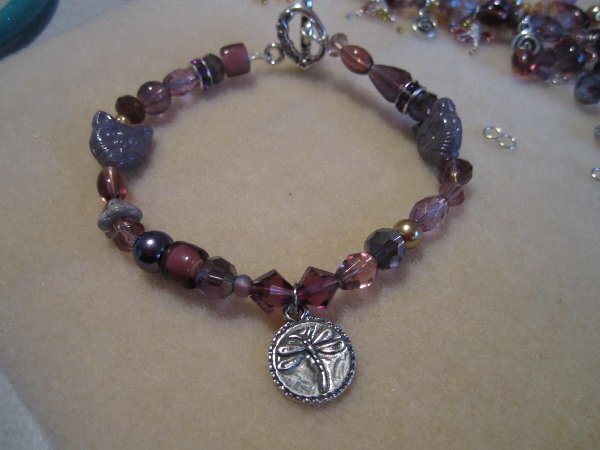 I have not gotten to tell her yet that my wonderful hubby is taking me, and the two grandaughters we baby sit to the bead market this weekend !! 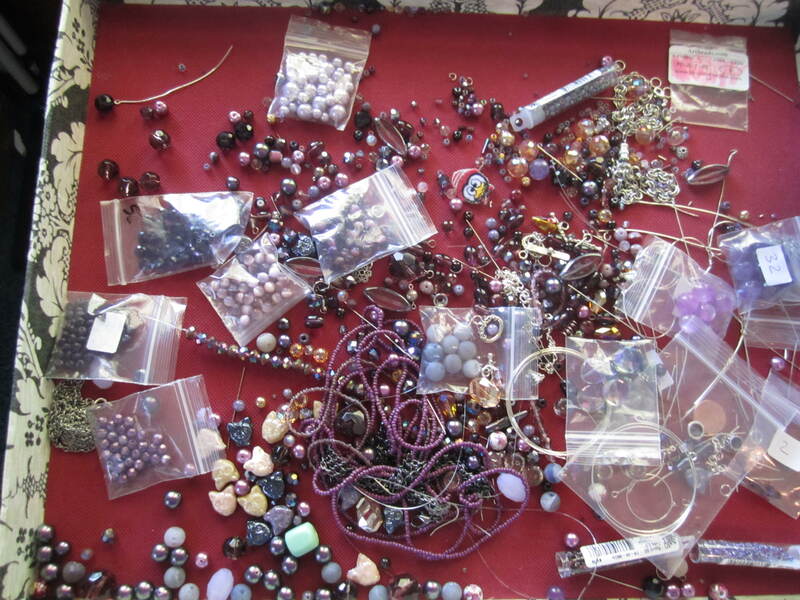 What fun , a room of beads. I am going with a much stricter budget than the last time, but some purple beads are on the list and blue for her bathroom project !! some of the trays have only one or two of an item, some we have more for in bags or in my boxes. out of all those trays, she picks for each project and then I start putting together the pieces. 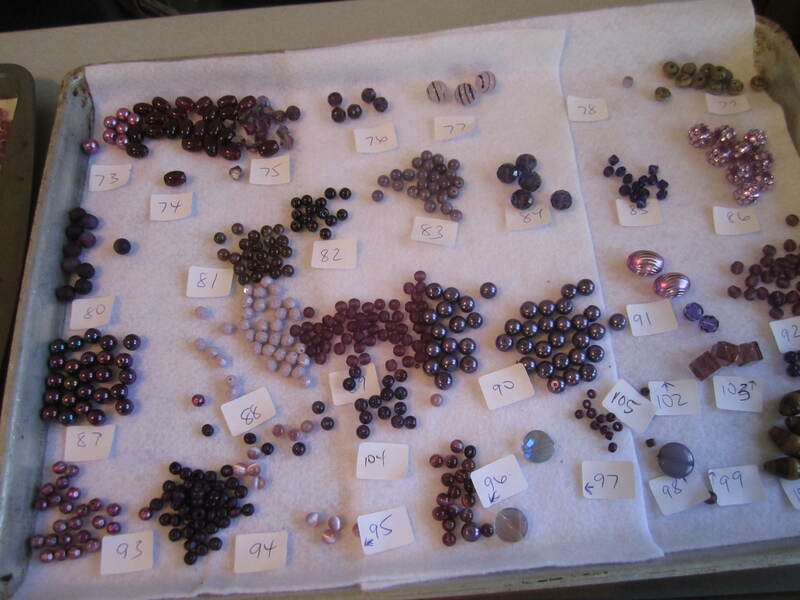 She gives me some direction on what specific beads she wants and then I pick the rest. this is the tray for the light tassels. 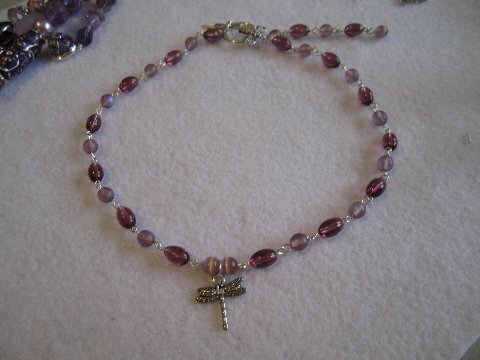 These are what she asked me to use for this design along with some specialy beads she had me pull for the pieces she ordered and had mailed to me !! 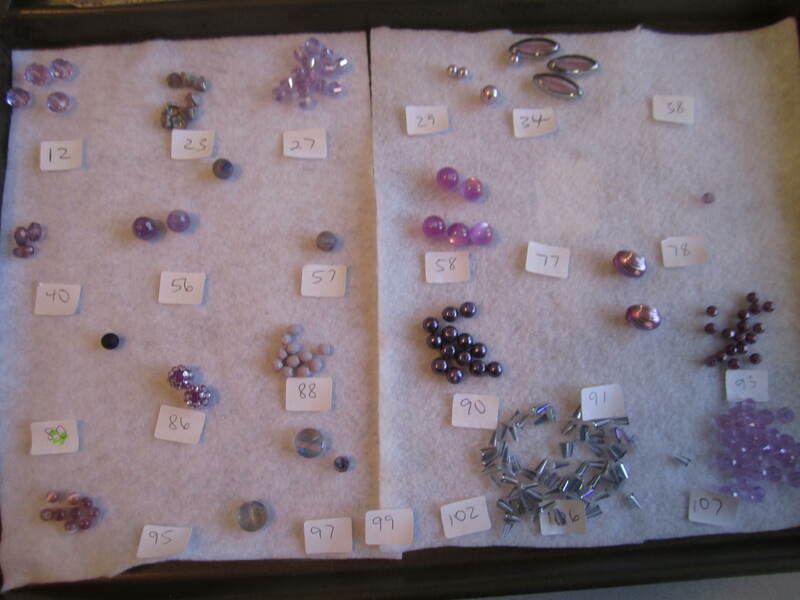 For the ombre I am choosing from all as I have to find enough beads to do that graduated color and my customer helps me to figure out what works and I move things around at her direction and together we get them right !! IT sure makes it easy. 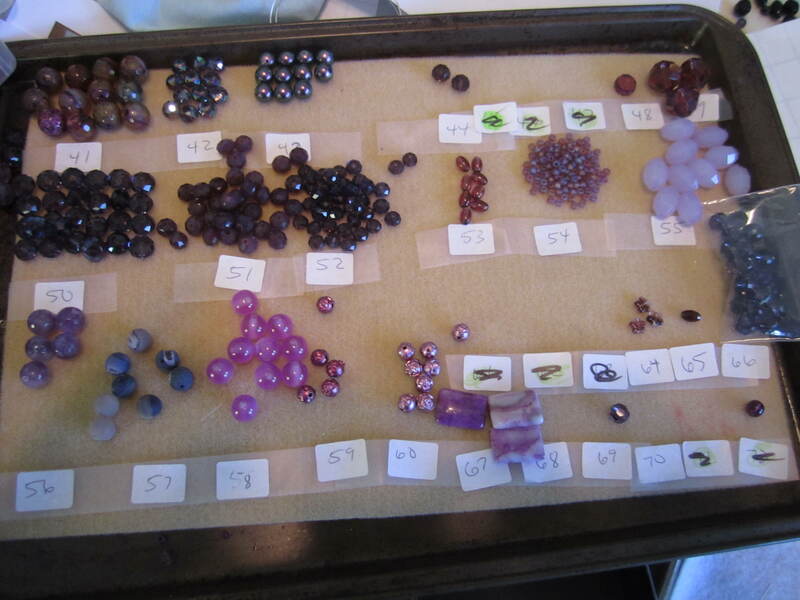 This next tray is just a hot mess, extra beads from the trays that have not been put in the boxes as they were bought for these projects so they are bagged up and then some project beads for the smaller pieces like the bracelets. I am slowly putting it all away as this tray is just a mess pure and simple !! ! 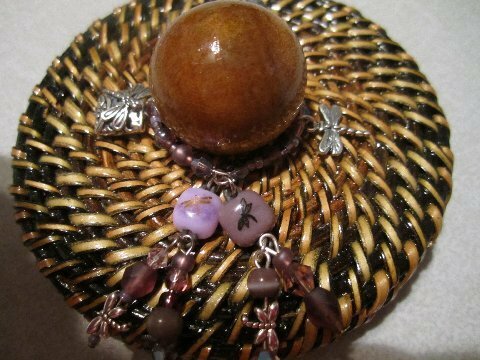 I still have plenty in my two bead boxes as well !! So, that is why I have not been around too much, that and our son being here from way out of town for two weeks and the fact I watch a bunch of our grandkids each day !! 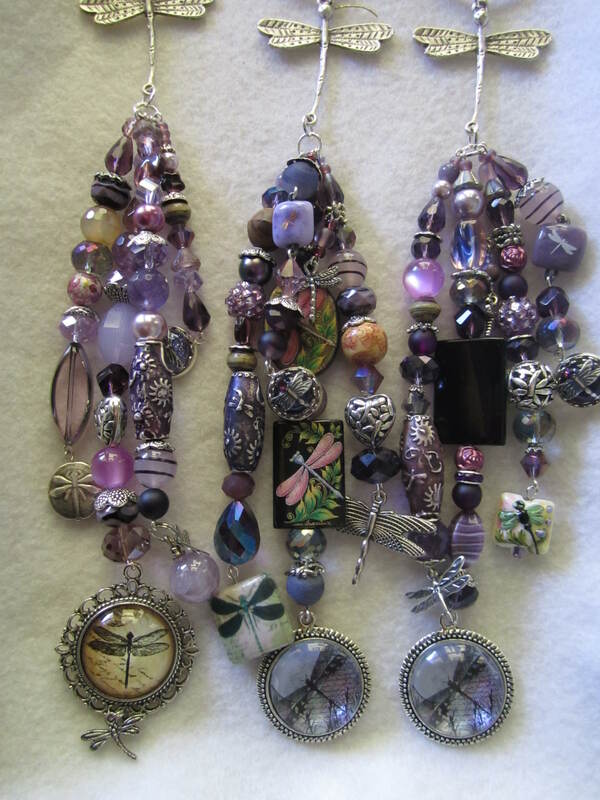 I will share as I finish up these items and I have a couple of jewelry pieces to show as well, that I cannot take credit for, my talented customer deserves all the credit !! So a lot more to share in the next few days !!! ← My favorite new tool !! And another custom project finished !! Is there any way to see the beads on the windows and where she puts them all? Very pretty work. Yes, she has promised to send pictures of everything as it is put up, so as I send them and she gets them up, she will send pictures that she said I can share ! !